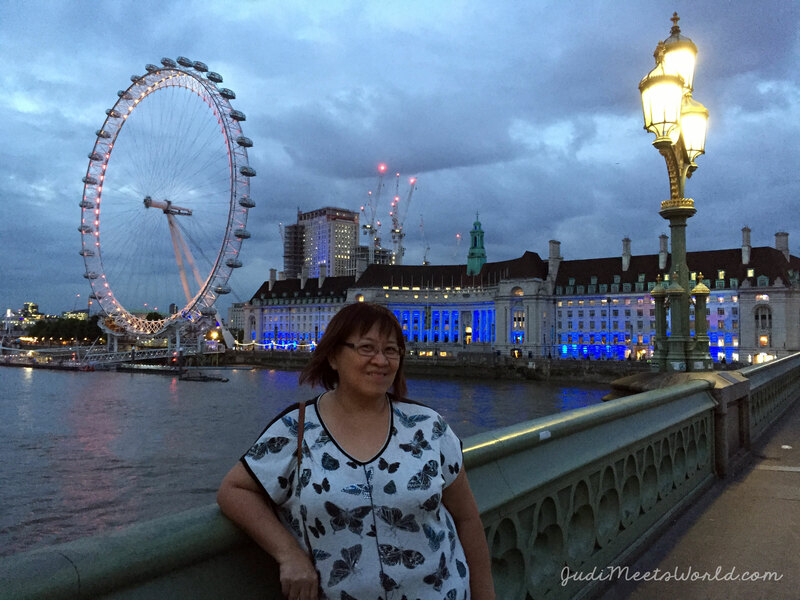 As mentioned in previous posts, you can always opt for cabs and Ubers, but the Westminster area is a hub for public transportation (the Underground/the Tube). Use your Google Maps or use the CityMaps2Go app to help you when walking around. Starting station for today’s journey: Westminster station through the Jubilee, District and Circle lines. Any history buffs will right away recognize Westminster Abbey as a tapestry of English history. Perhaps you’re interested in being under the same roof of so many official Royal coronations and celebrations. Maybe you want to pay homage to the 3,300 notable individuals who have made Westminster Abbey their final resting place. Whatever your reason may be, the Abbey is certainly a place to visit during your first trip. This beautiful cathedral is free if you are attending services. If you are touring, £20 gets you an audio-tour of the cathedral, with access to the three on-site gardens (the Garth, the Little Cloister, and College Garden), and the Cloisters. There is also a reduced self-guided entry rate called Wednesday Lates for £10, every Wednesday from 4:30pm-7:00pm. TIP: Photography is prohibited inside the Abbey. Only the Cloisters and College Garden are places where photos are permitted. Want a photo souvenir? Purchase a postcard in the Abbey Library. Landmark central! As soon as you leave the Westminster station, make sure to look up! 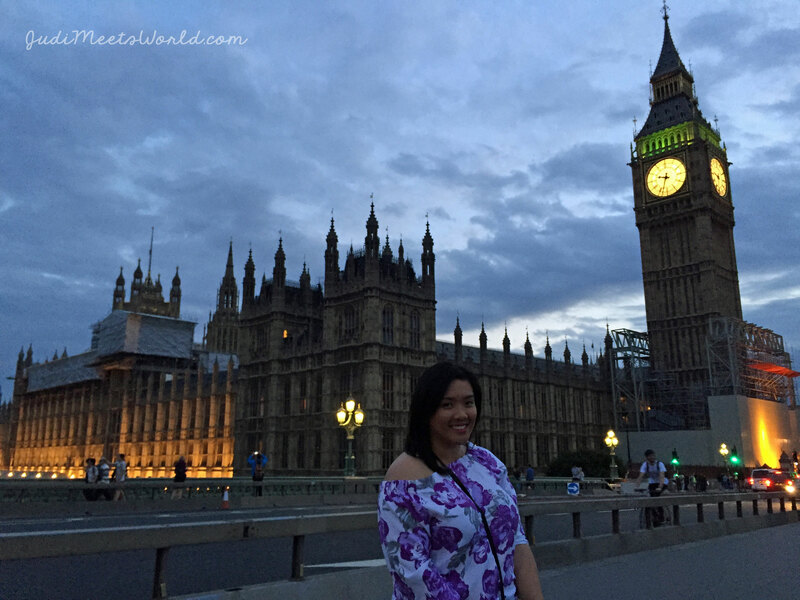 You can’t miss Big Ben (the Elizabeth Tower) attached to the Houses of Parliament. Unfortunately, he was covered in scaffolding as the tower is being refurbished. We took time to sit on the bridge and just marvel at the beauty in the architecture. There is a lot of foot traffic, so we chose to come in the evening when it was quieter. This did also mean that tours were over – but I was glad with seeing it in front of me. This was my “we’re actually here in London” moment! To visit the Houses of Parliament, an audio tour will cost you £18.50. These can be pre-purchased online to save you some time at the door. TIP: Just like the Abbey, photos are not permitted inside the Parliament since it is a place of work, and security measures are in place. SEA LIFE London (aquarium with standard ticket prices of £20.40 and up with different packages). 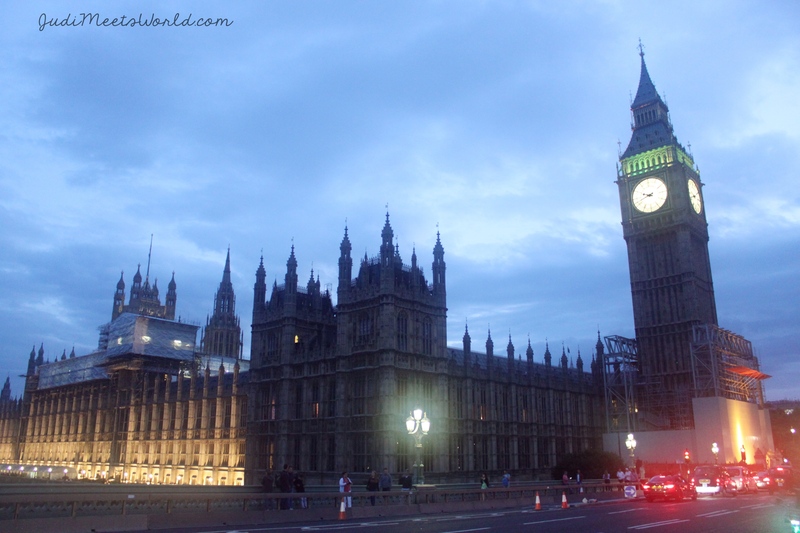 So there you have it – the Westminster area with some daytime suggestions and night time views. For those who have spent time visiting these attractions – which would you recommend? Where are some local spots in this area that you’d suggest I explore in London? Get in touch with me and let me know!